ABC’s “The View” might have one less star by the end of this week. 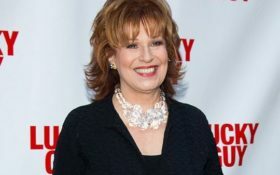 Liberal host Joy Behar threatened to quit after an on-air meltdown on Monday when she was asked to stop bashing President Donald Trump. Behar was shutdown by co-host Meghan McCain when she tried to turn a tribute to late President George H.W. Bush into a Trump bashing session. The exchange left Behar screaming and cursing at producers, insiders say. She even threatened to quit the television show over it. Only co-host Whoopi Goldberg, herself an outspoken Trump critics, kept her cool. It seems the Trump Derangement Syndrome is in full-effect at ABC’s headquarters. During a eulogy of Bush, the hosts were talking about the former president’s legacy. “There so much to learn from his [late President George H.W. Bush’s] life, and I hope the next generation… they may not know him the way we do, the way we remember him… but I hope they learn from him,” co-host Abby Huntsman said during the segment — only to be interrupted by Behar. Sponsored: Prescription drugs causing Diabetes? “This president that we have now is going to unravel everything that he did and Obama did, and if I ever become a one-issue voter, it will be about pollution,” she said. McCain jumped in, asking Behar to stay on-topic — and Behar lost her mind. That’s when Behar started yelling. “Well, I do! Excuse me! Excuse me a second, please!” Behar shot back. “Okay, but we’re honoring… I’m not interested in your one-issue voter talk,” McCain replied. “I don’t care what you’re interested in! I’m talking!” Behar screamed. 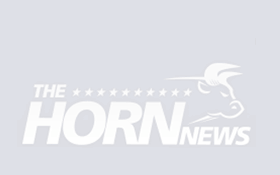 “Well, I don’t care what you’re interested in, either,” McCain responded. Goldberg quickly cut away from the segment as Behar slammed her notes onto the desk — but according to The Daily Mail, that wasn’t the end of Behar’s meltdown. The directors cut Behar’s mic, but insiders say she started screaming curses at McCain and producers while the cameras still rolled. “I don’t know why she’s so upset. I just wanted her to focus on President Bush and not bring Trump into this for once,” McCain allegedly responded. See the clip below for yourself.